The tantalizing idea —as if ripped from the pages of a spy novel —that Chinese hackers had implanted chips into servers used by Apple and others to harvest data and spy on their users' activities was instantly lapped up by Apple's critics as rich dirt for seeding skepticism of Apple's competence in security. The story has also already begun sprouting conspiracy theories that imagined further out into the realm of possibility that perhaps China was using this silicon hardware bugging to turn defense contractors against America. A much simpler explanation is that Bloomberg rushed to publish information that was wrong, in part because its journalists didn't really understand what they were writing about, and in part because they didn't need to care whether their report was absolutely true or not. There is copious evidence of this in what Bloomberg has chosen to print about Apple over just the last two years. Bloomberg has printed a series of reports about Apple that have been fantastically wrong or seriously misinformed. Each story portrayed Apple as an incompetent bunch of buffoons, despite the company's real-world performance. 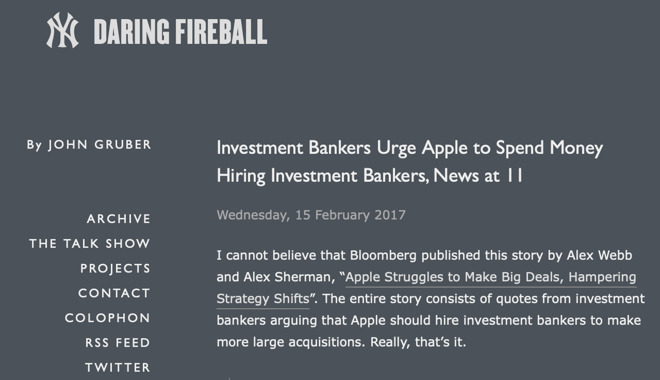 In February 2017, Bloomberg printed "Apple Struggles to Make Big Deals, Hampering Strategy Shifts," a story so transparently bad that John Gruber of the Daring Fireball noted that "the entire story consists of quotes from investment bankers arguing that Apple should hire investment bankers to make more large acquisitions. Really, that's it." While disparaging Apple's ability to "make big deals," the reality is that Apple has been incredibly successful in turning its acquisitions into top features, services, and products that are extremely profitable. Either Bloomberg writers didn't know enough about acquisitions to be writing about Apple's, or it didn't care if its sources were accurate or not. Days later, Bloomberg published "Apple Vowed to Revolutionize Television. An Inside Look at Why It Hasn't," a hit piece on Apple TV that included a series of factually false claims and misleading statements. It portrayed Apple as a fumbling clown in TV set-top boxes, despite the reality, as noted by Consumer Intelligence Research Partners, that among Apple product buyers Apple TV is used by more than one in five, roughly in line with the adoption of much cheaper boxes like Amazon's Fire TV or Roku. Beyond that, Apple TV is also seeing adoption in the enterprise for digital signage and with custom corporate apps as a remotely managed device, something other consumer TV box can't match. While disparaging Apple TV as a hardware product, Bloomberg also belittled Apple's entire strategy of "turning the television set into a giant iPhone: a cluster of apps with a store," suggesting it was a loser idea that "Apple has essentially settled for." In reality, Apple's Services segment focused on apps and subscriptions —including Apple's own iCloud and Apple Music, as well as income gleaned from Netflix, HBO Now and Hulu, all targeting Apple TV —is one of the most closely watched growth areas for the company and is doing phenomenally well. That division pulled in $9.5 billion in last quarter alone. This March, Bloomberg printed a scathing report on the heels of Apple's education-focused iPad Event, citing "people familiar with the matter," who "asked not to be identified" in claiming that Apple would "introduce new low-cost iPads" because of new competition from Google Chromebooks and low-priced PC netbooks. That was factually wrong: Apple didn't unveil new low-cost iPads. It instead improved its existing entry model and began offering it with the $99 Apple Pencil that actually increased its overall price. Yet Bloomberg didn't present its prediction as a possibility —it served it up as fact confirmed by "sources." Further, Bloomberg wasn't just wrong in its prediction. 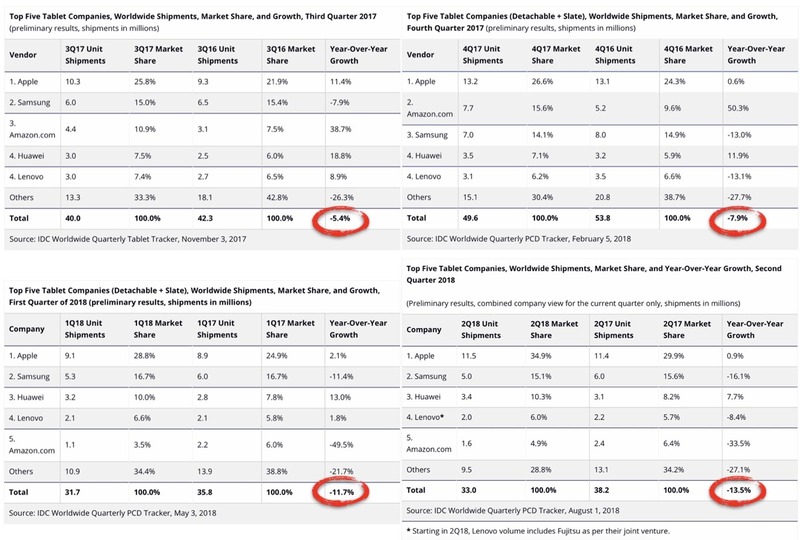 It also intentionally obscured facts that refuted its wildly misleading portrayal of the education market and falsely claimed iPad was doomed to fail just because Apple's tablet competitors were. This all despite the fact that Apple has been growing its iPad sales as Android and Windows tablets continue to shrink globally. In April, Bloomberg printed a story claiming that Apple had cut Inventec's production orders for HomePod, citing "sources familiar with the matter," and implying this was because of poor sales. Channel check stories are regularly incorrect, but in this case the reporting by Bloomberg was particularly irresponsible because it failed to note that Apple had multiple companies contracted to produce HomePods. Inventec had been given a small production run in January, but Foxconn was also producing the product. Bloomberg made a blind guess about demand while again withholding facts that undermined its claims. 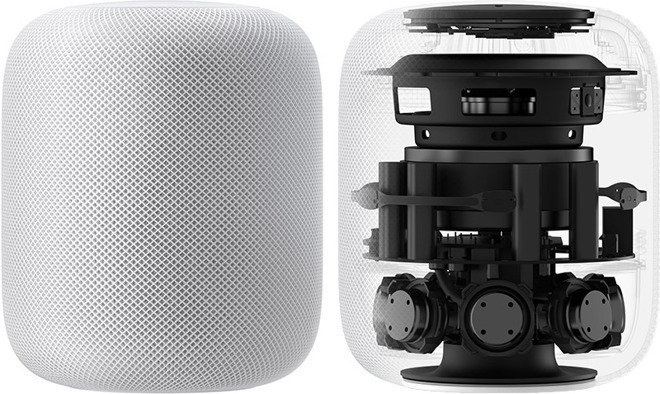 Sales of HomePod are reportedly accelerating, rather than demanding drastic production cuts. Later in April, Bloomberg took aim at iPhone X, insisting that data from Samsung indicating slow growth in its OLED panel sales had to mean that Apple's sales of iPhone X were "weak." That was simply not true. Bloomberg should have known it wasn't true, because the same report from Samsung that it used to invent the idea that iPhone X must be weak also included a warning from Samsung that it was internally experiencing "stagnant sales of flagship models amid weak demand" as the Galaxy S9 (which also uses OLED screens) was increasingly falling below expectations. Bloomberg chose not to report that. 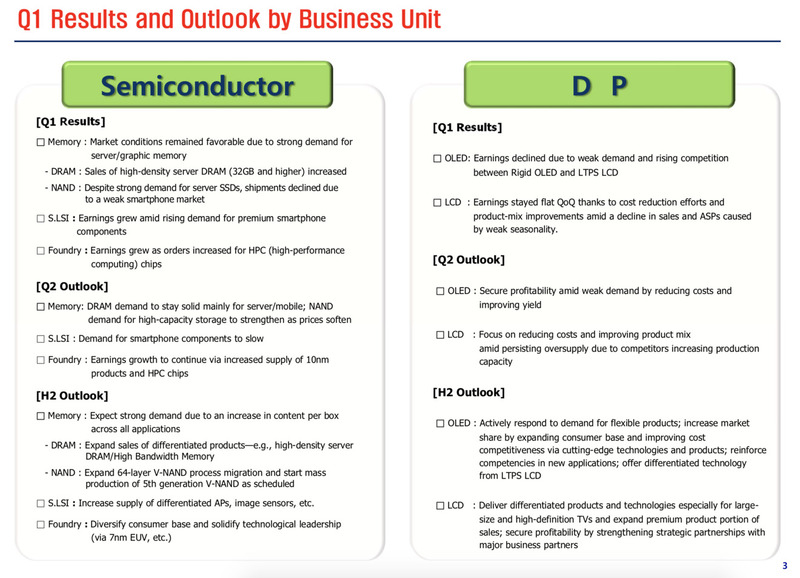 Further, it wasn't just growth in Samsung's OLED panels that was slowing. The company actually portrayed its entire Display Panel unit as being hammered in profitability during the quarter due to intense competition both from other panel suppliers and from other, cheaper screen technologies, and from weak demand and a decline in sales in general, across both OLED and LCD panels. Bloomberg ignored all of these facts to invent the sensationalized story that iPhone X was selling poorly. It could not have been more wrong as iPhone X remained the world's most popular smartphone model. Later that same month, Bloomberg doubled down on its story of "lackluster iPhone sales," stating unequivocally, "Apple Inc. earnings this week will confirm what most investors have finally accepted: The iPhone X didn't live up to the hype." Instead, Apple's earnings made it clear that Bloomberg and the sources it believed as being "familiar with the matter" were as wrong as one could be about the biggest product of the year—a massive hit that had been selling in huge volumes every week since it had gone on sale. And, the manner in which it repeatedly "neglected" to report facts that directly undermined its stories makes it hard to rationalize its repeatedly incorrect reports as simply minor, accidental errors. Either Bloomberg is reporting factually incorrect things about Apple because it doesn't know enough about the subject matter to recognize what the truth is, or it is simply stringing together stories without any concern about whether they are true or not. After Bloomberg initially published its story last Thursday alleging that servers used by nearly 30 tech firms including Apple and Amazon were compromised as part of an elaborate Chinese intelligence operation uncovered in 2015, Apple issued a statement that categorically denied all of assertions in the Bloomberg story, offering point-by-point rebuttals to specific facts and figures. Apple subsequently delivered a letter to the U.S. Congress written by its Vice President of Information Security George Stathakopoulos. It stated that the allegations about a spy chip were made by a single source, and not by Bloomberg's claim of 17 corroborating sources. And on Monday, security researcher Joe Fitzpatrick—one of the few sources actually named in Bloomberg China Hack story, noted in an interview that he had previously detailed various "proof-of-concept" scenarios with the journalist working for Bloomberg, only to find that "100 percent of what I described was confirmed by [anonymous] sources." 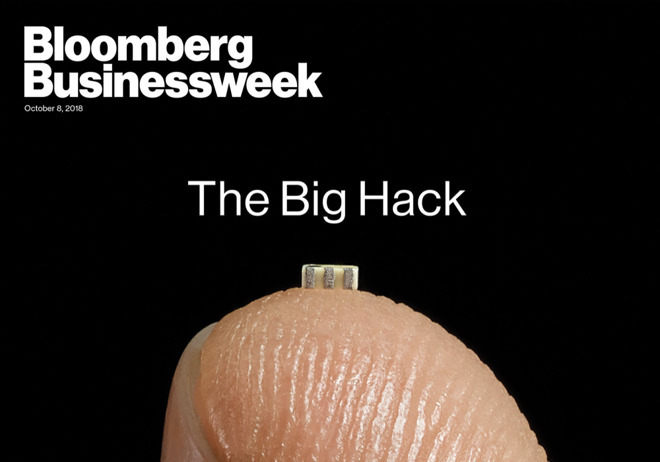 Yet, Fitzpatrick explained that the story Bloomberg told of adding a chip to sensitive hardware "doesn't really make sense," adding "there are so many easier ways to do this. There are so many easier hardware ways, there are software, there are firmware approaches. There approach you are describing is not scalable. It's not logical." Particularly in regard to its writing about Apple, Bloomberg doesn't deserve the benefit of the doubt. It has demonstrated repeatedly that it will omit salient facts and jump to unfounded conclusions without much concern for whether they are accurate or not.